Here you can find detailed information about the current and past courses that are offered by the Faculty of Technology, Policy and Management of Delft University of Technology. To have a basic understanding of SD model use and to have gained intermediate experience related to the SD modelling process. To gain experience in applying the modelling cycle to unstructured problems. To gain insight in the application of SD modelling to policy problems. To be able to apply the techniques from the introductory SD course. To be able to use the results of experiments on a model to come to (policy) recommendations for a problem owner. To be able to reflect on the role of models (at a bachelor level). To independently apply the knowledge and skills gained during the SEPAM bachelor program. To structure a complex problem, abstract research questions from this and answer these with TPM analytical methods and to interpret the results taking into account the initial problem statement. 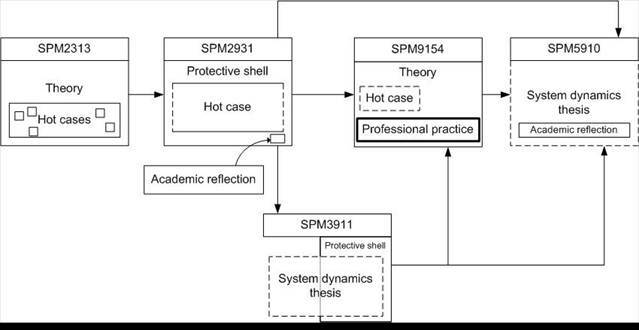 To be able to reflect on the role of models (at MSc level). To understand the relevant scientific literature on selected topics such as the use of data, model structure and behavior, model validation, communicating modeling results and group model building in the field of SD. To understand current literature and recent advances in the field of SD. The student shows that s/he complies with the attainment levels of the SEPAM programme (i.e. a master of engineering level).